FLASH FREEBIE from now until? A Valentine’s Day and the 8 Parts of Speech color version is offered here. 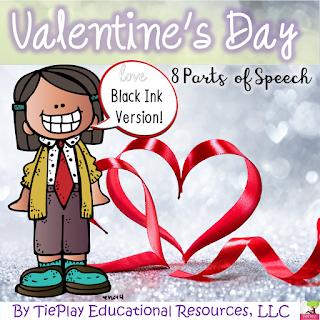 In Valentine’s Day and the 8 Parts of Speech, learners read 46 funny, infamous Valentine’s Day quotes with nouns, pronouns, verbs, adjectives, adverbs, interjection, conjunctions or prepositions. It's perfect for Valentine's Day!